Happy New Year! I bet you are welcoming 2018 with a scarf around your neck. It seems the temps have dropped everywhere here in the States. Are you ready to take 2018 by storm? Let’s start making it happen. I like to start with something I call, Micro-Manifestations. They are a way of listening to your inner voice. These manifestations end up making you look good and feel good. When you’re in the right mindset, the world is yours. This is a perfect time to start putting these manifestations into place. 2018 and your best year yet have literally started! It begins with knowing what you want and how you’ll feel when you receive it. Then you can use style to create those feelings NOW. The best part? All of this information is already inside of you. When you’re present, big changes can happen on minute levels. This starts with the most basic choices and stretches outward far beyond your outfit choices. When you meet the needs of your body on a micro-manifestation level, it sets in motion a cascade of positive benefits. Adorn and serve your body because this allows you to open the door to something greater. You can activate that greater container because you have a super strong foundation already in place. Even if you don’t know what you want for 2018, by just focusing on these micro-manifestations, you will get there. Sounds crazy, but it’s true. You'll be shown the way and because you’re listening to your body and giving her what she needs, this allows you to show up and receive. Know that old saying, “Fake it till you make it”? It sort of applies here, too. Except this isn’t just your outfit – it’s your energy, feelings, and emotions. When you magnify your soul, the world can see you without the chaos created from your external image. Without insecurities clouding the world, it’s a clear, direct filter to your energy. Basically, cast yourself in the role as your vision of the role. What you’re going to sell to yourself and the world is yourself in that vision. You sell that vision because you believe in yourself. It’s an inner and outer manifestation. It sounds crazy, right? Way too simple. But trust me, it works. Step 1: Where are you feeling fear, anxiety, or unease in the body around this upcoming situation? Often people experience fear in the stomach. Step 3: Ask yourself where do you feel love? When you’re a heart-centered person and you start projecting the passion and love, that energy is going to be communicated out into the world. Step 4: Pick an article of clothing or piece of jewelry to enhance this area. You can enhance that area either by using a piece of jewelry or by wearing a deep V-neck, which would help you signal to the world that you’re energetically embracing self-love. It’s a small micro-manifestation. It almost makes you overtly conscious of the need to project love. Look for something to enhance and highlight the heart area. Step 5: Add a comfort layer that you can decide to shed when it’s time or keep on depending on how you feel in the moment. You can wear a really high-quality cashmere wrap sweater or wrap your body in a way that it feels safe and protected. It’s okay to toe the line here a little bit. I mean, we can’t always walk around in performance mode. Knowing when to serve your body so that you can do that next level is super important. Everyone's going to feel vulnerable and nervous. It's okay to have an extra layer, and then right before you get on stage, you take that layer off. We want to see you! Every day we have a choice. We choose how we adorn our bodies. We choose what we’re going to project. Micro-manifestations seem like really small actions, but when you start using them on a daily basis, you’ll be amazed at the results. It’s as if what you begin to project to the world is completely refreshed. You’re stronger, fiercer, clearer. 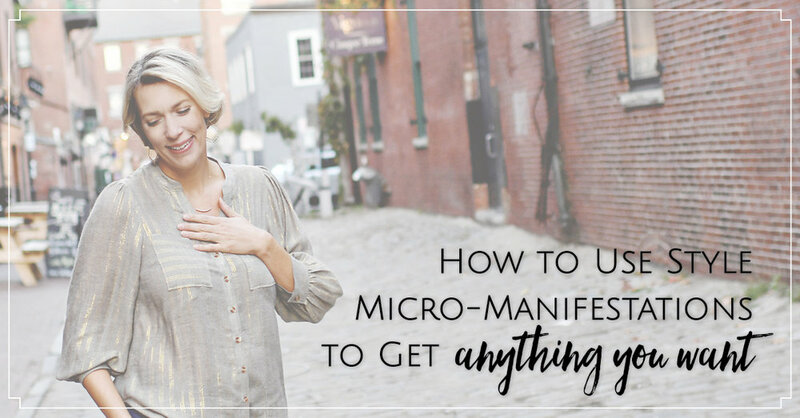 So how will you use micro-manifestations in 2018 to get what you want? 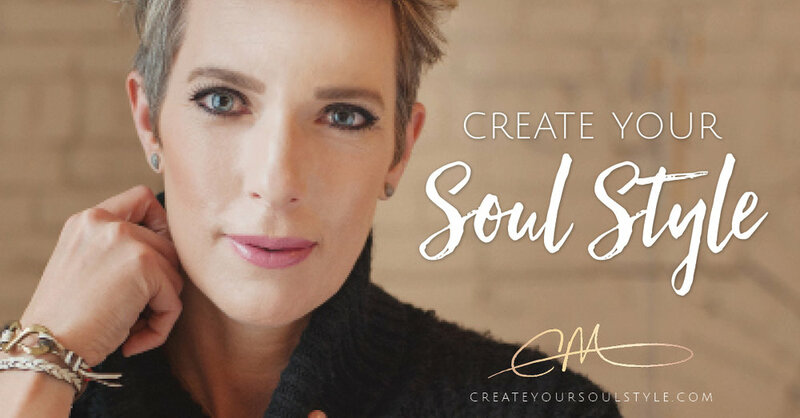 Join my Signature Course, Create Your Soul Style, here! 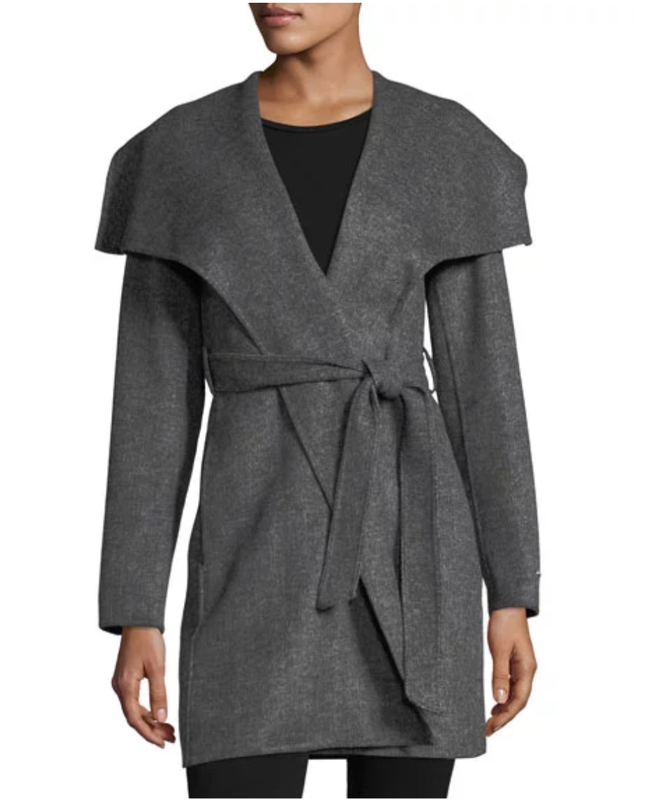 Ella Double-Face Twill Wrap Coat - Get it!